A business tool designed to enhance staff productivity. 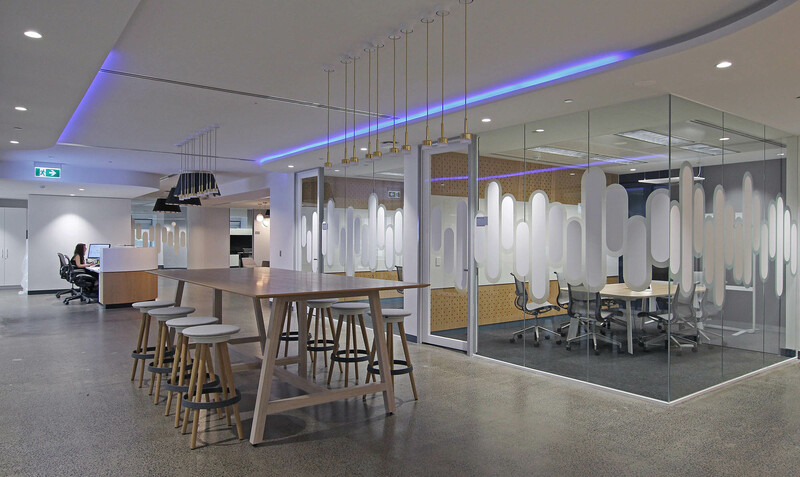 To meet the demands of an expanding company, multinational IT and networking corporation, Cisco has refurbished their existing Melbourne tenancy as well as acquiring an additional non-consecutive floor dedicated to client meetings. 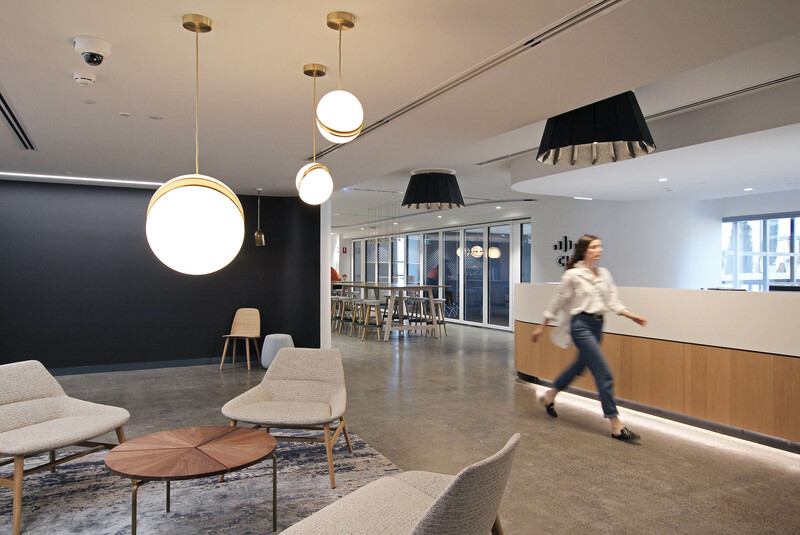 The resulting space is a representation of the company values surrounding collaboration, and an active business tool to enhance workplace productivity and increase staff satisfaction. Works on the newly acquired level 11 tenancy began with the partial removal of the ceiling and carpets and included the construction of a new breakout space. A large training room features AV integration and a 15-meter operable wall. The structural steel wall allows Cisco to decouple the space into two smaller rooms as needed. 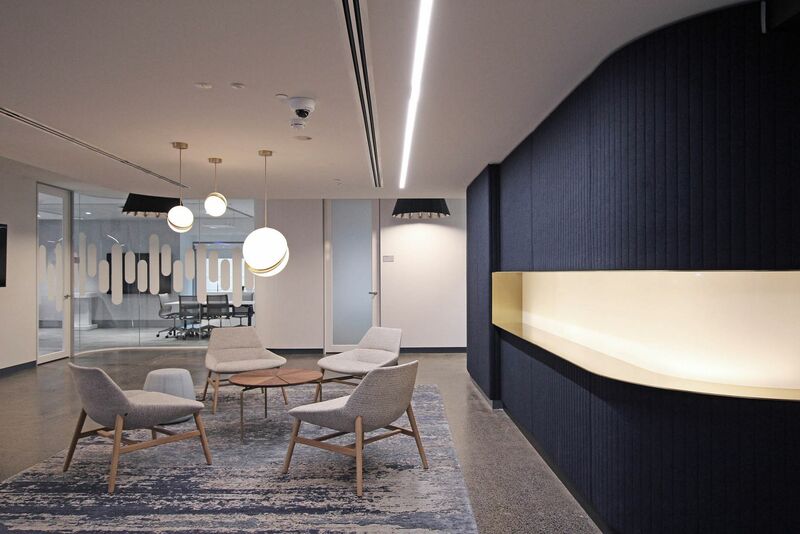 The existing tenancy on level 14 received a contemporary refurbishment with a focus on facilitating various modes of work ranging from traditional workstations, collaborative and focus spaces, as well as quiet respite areas. The final project is a sleek workplace where form follows function; the built space itself promotes radical changes in the way Cisco staff work and collaborate. The new layout is bright and open, infused with pops of colour and tactile intrigue. Banquette seating crafted by Prima Architectural Joinery, follow the perimeter of the breakout space. Wooden frames are built above, subtly lowering the visual height to facilitate impromptu conversations and cozy focus areas. 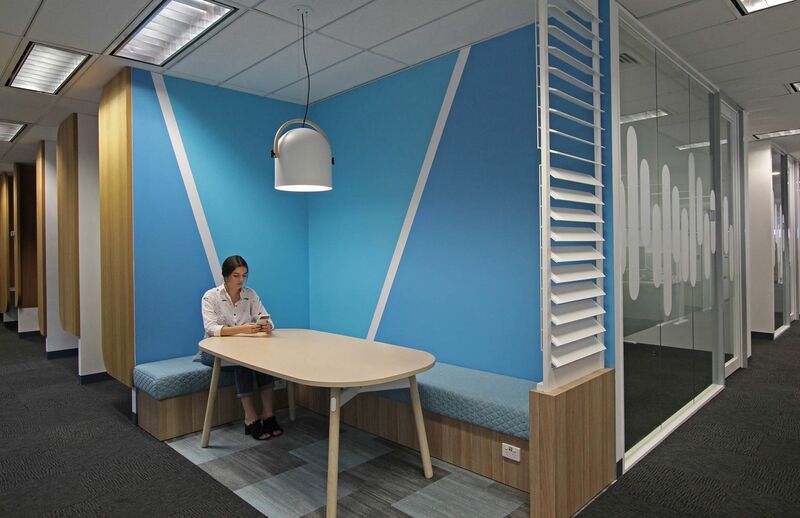 Smaller collaborative spaces are scattered throughout both floors; Venetian blinds atop brick veneer walls not only provide semi-privacy but also demarcate the space. 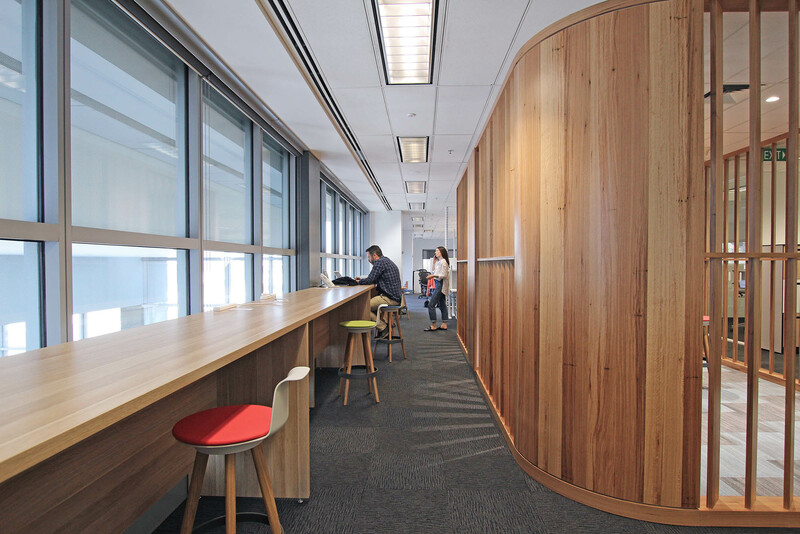 Two open timber hubs, also built by Prima Architectural Joinery, are designed to encourage collaboration with an enclosed yet porous space. Whiteboards and panelling interactions allow open meetings while loose furniture supplied by Schiavello subsidiary Bene display the strategic merit of furniture. The new Cisco office embraces many different styles of work. Both floors now demonstrate the positive effects of generating spaces that facilitate not only traditional modes of work but also enhanced communication and collaboration. 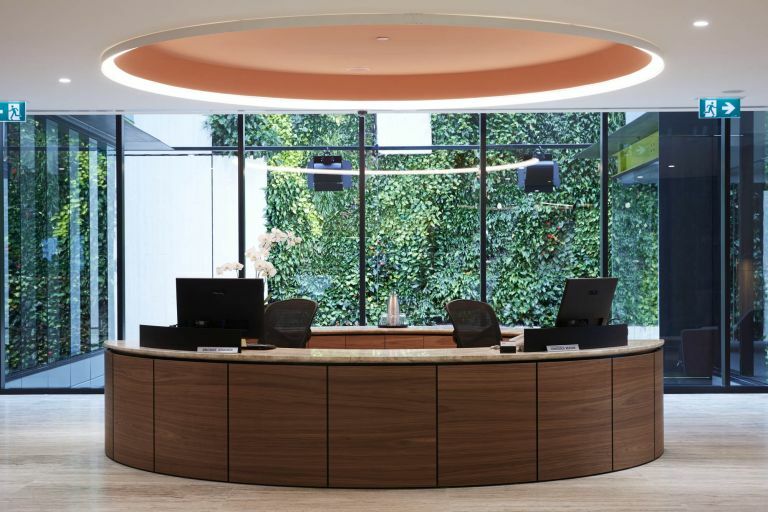 BDO’s new facilities have been recognised by the industry, with the project taking out the 2017 Melbourne Design Awards, Interior Design – Corporate & Commercial. 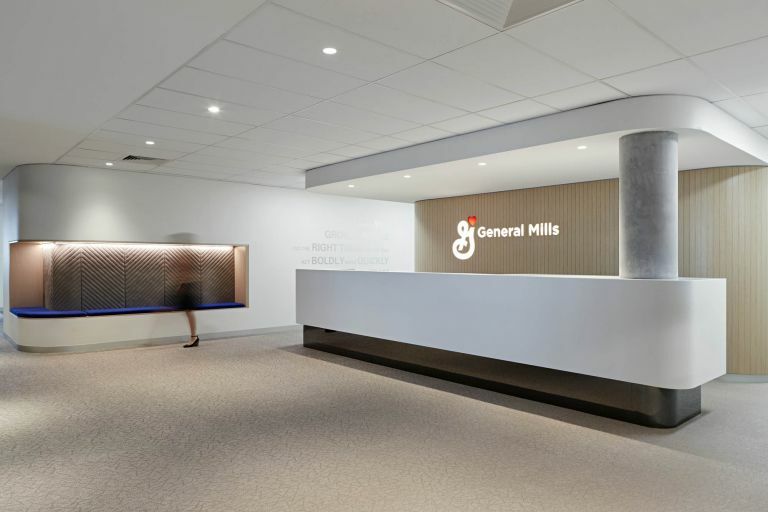 Schiavello brought Dasch Associates’ designs to life by creating a dynamic activity based workspace for General Mills.